Can you afford to wait to buy your home? Mortgage rates moved up to their highest level since May of 2011 in the week ending May 24 according to Freddie Mac’s Primary Mortgage Market Survey (PMMS). This year has been a statistical standout with rates climbing in 15 of the first 21 weeks, the largest number of increases since Freddie began tracking interest rate data in 1972. That means you can buy less home than you could a year ago. If interest rates continue to rise, the type and location of home you want could become out of reach. 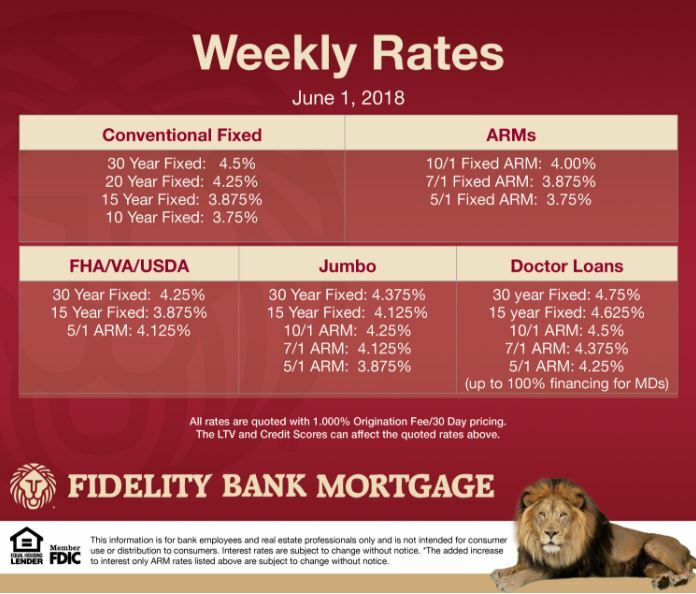 Here are the June 1 weekly rates couresty of Lion Bank.